Orval Trappist Ale - Boening Brothers, Inc.
Sunset-orange color; a fruity and slightly acidic bouquet, firm body, profound hop bitterness, and long, dry finish. 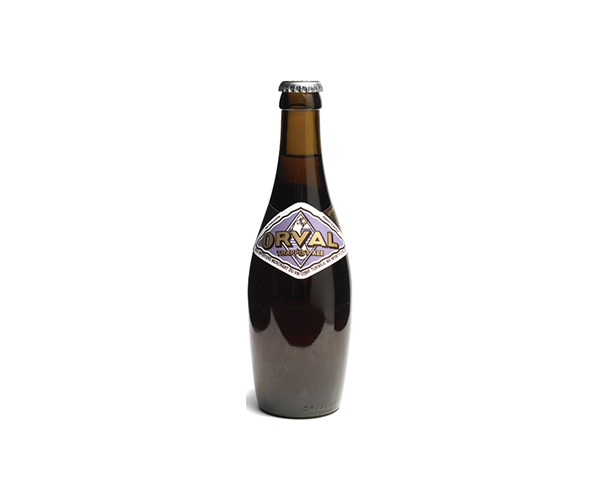 Orval is bottled with Brettanomyces, a yeast strain that leads to superb dry complexity and ageworthiness. Orval sells one beer, brewed to unique perfection. The Abbey of Orval is located near Florenville, Belgium in the provence of Luxembourg. 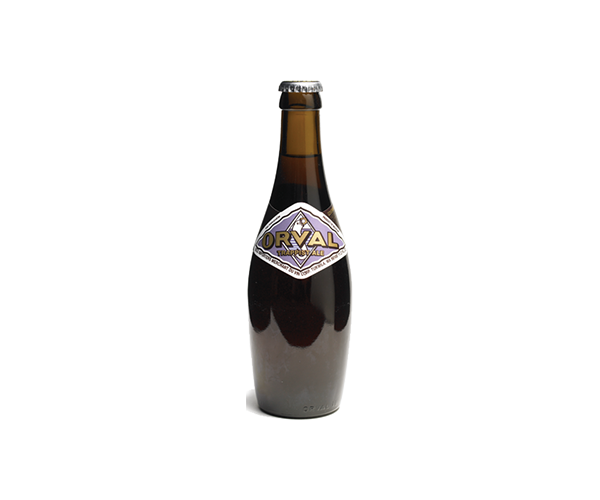 The present brewery was completed in 1929, at which time the skittle (pin)-shaped bottle and Orval chalice were introduced. 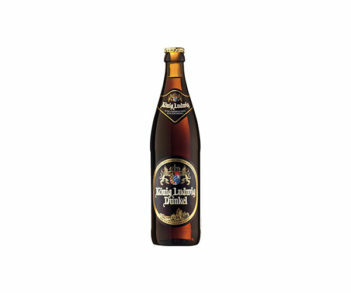 (Brewery, bottle, and chalice were all designed by architect Henry Vaes.) In the middle ages, Orval was famous for producing its iron decoration as well as beer. The abbey was gutted by fire in 1252 & repaired, then was destroyed during the French Revolution. Mild semisoft cheese, warm brown bread, fresh pears, steamed mussels, clams in Pernod cream sauce, oysters, smoked salmon and trout, and calamari. 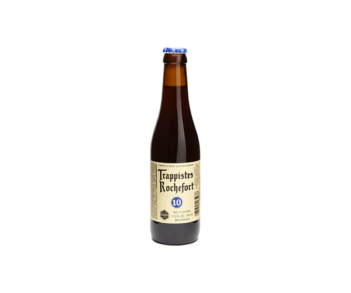 Traditionally served in Orval chalices to capture the big bouquet and lovely “Belgian Lace.” Excellent with a handmade cigar. 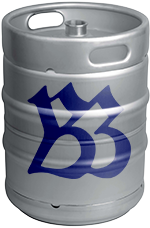 Traditionally served in Orval chalices at 55-60 °F. “Orval’s masterful complexity and drinkability have cemented it as a classic.” All About Beer magazine, June 2015. “. . . absolutely nothing like it.” – Garrett Oliver. “World classic.” – Michael Jackson. 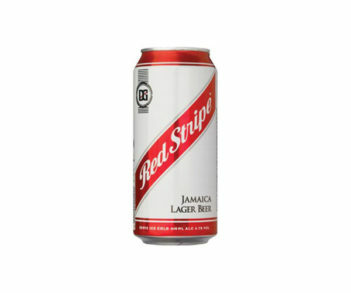 Ingredients: Water, barley malt, candi sugar, hops, yeast.